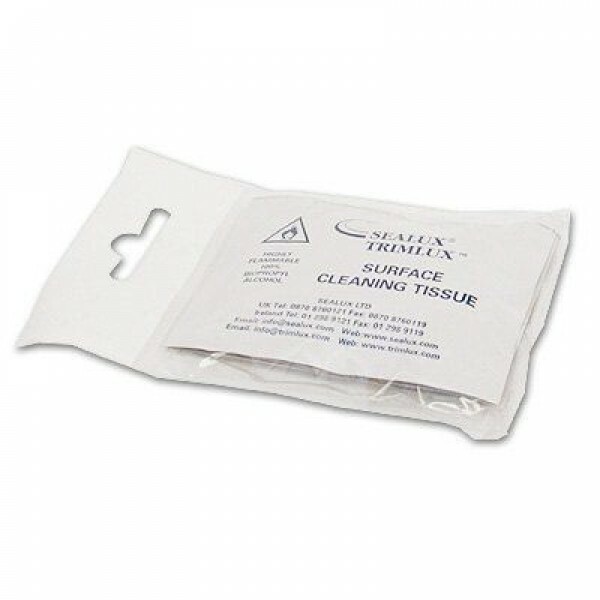 Trimlux Reg 25 is a flexible edging seal that is used on Shower trays baths and worktops Trimlux conceals and shields the silicone sealant inside the trim so no sealant slime, splitting or eyesores with Trimlux. 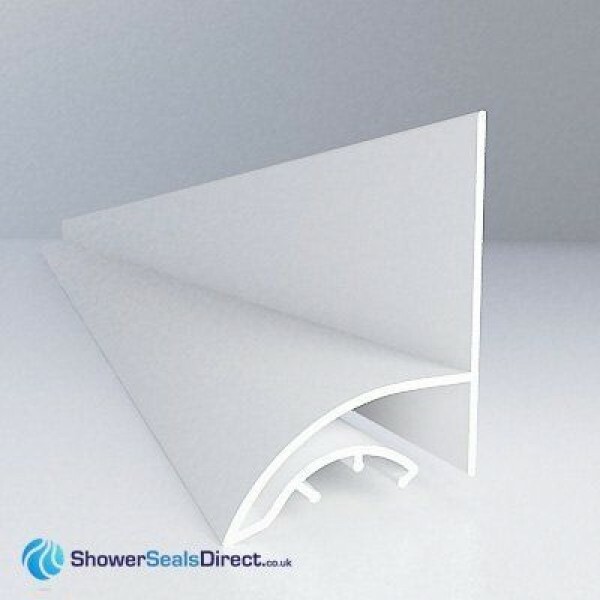 Trimlux is a two part shower seal that combines a Trimlux trim with an approved silicone. 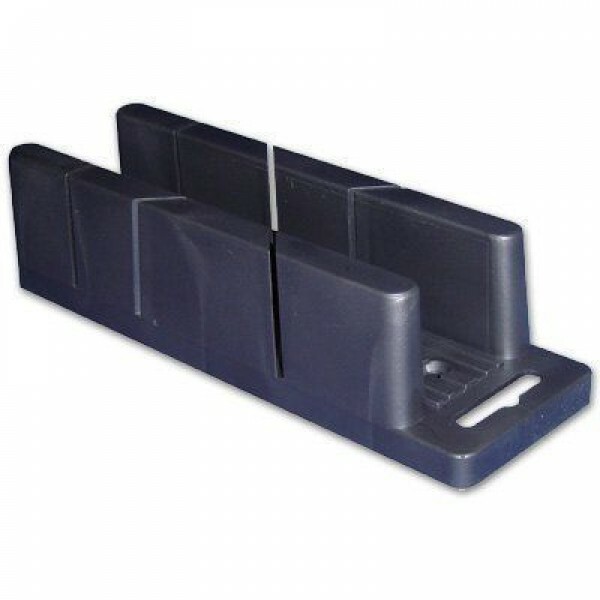 Each trim has an inner leg that is ribbed to provide a firm grip for silicone. Please refer to the technical drawing above. 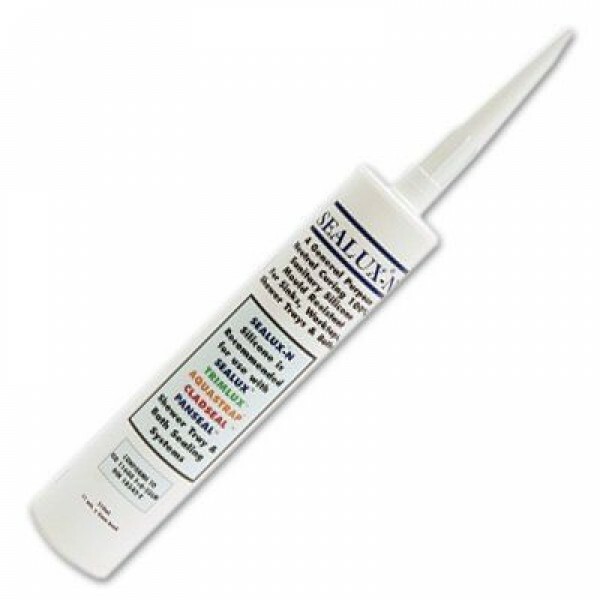 To install Trimlux the trim is turned upside down and the trim cavity (a) is slightly overfilled with silicone sealant. 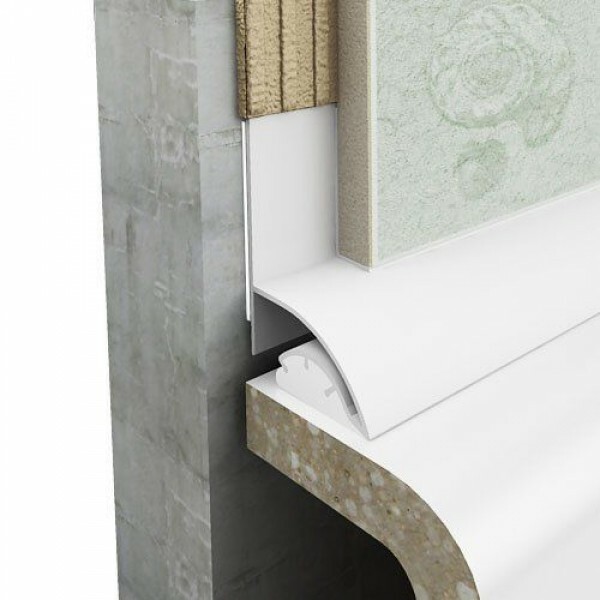 The trim is then installed over the joint as shown below. 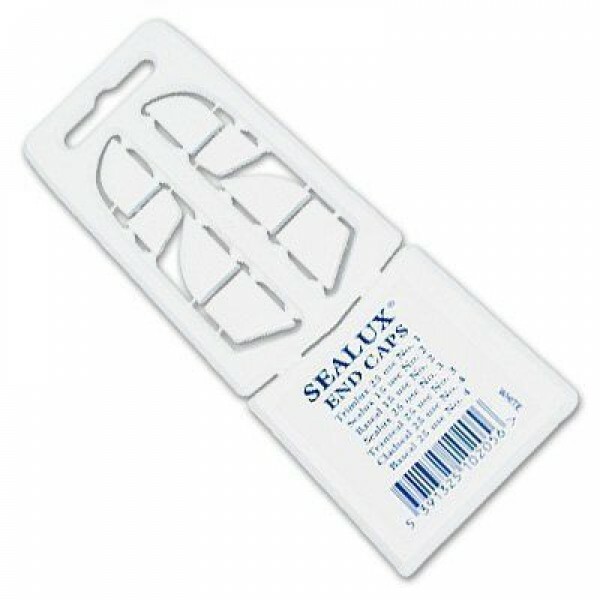 The Sealux-N silicone 'anchors' the inner leg (a) firmly to the ledge. This inner leg (a) acts as a bond breaker that prevents the silicone making contact with the underside of the flexible outer leg (b). In the event of joint movement between the ledge and wall the silicone keeps the inner leg (a) anchored to the ledge while the flexible outer leg (b) is free to flex to accommodate joint movement. This 'bond-breaker' inner leg creates some flexibility in the strip, the 'shielding' effect of the strip over the silicone promotes durability, hygiene and aesthetics. 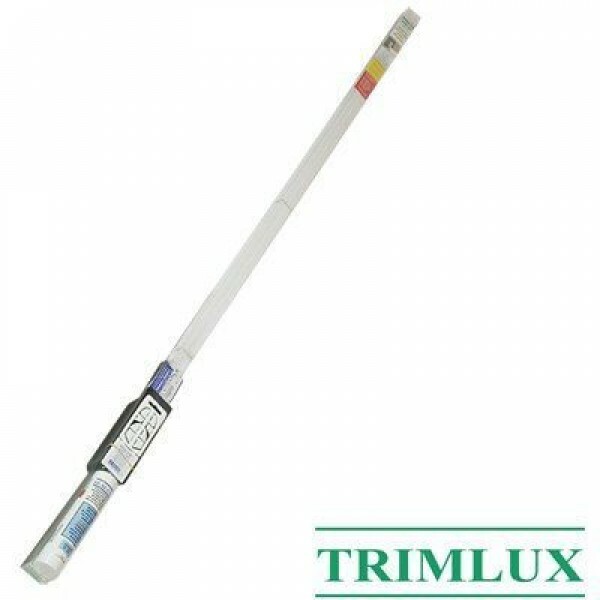 Trimlux Reg 25 is fixed to the wall with Sealux N silicone. I have seen Trimlux installed before and decided to use it on our new bath install, sick of seeing exposed silicone that gets dirty. Very cleaver product - one bit of advice is to read the instructions carefully before you start. I moved into my home 15 months ago and was disgusted to notice a wet mark in my living room ceiling from the bathroom above. 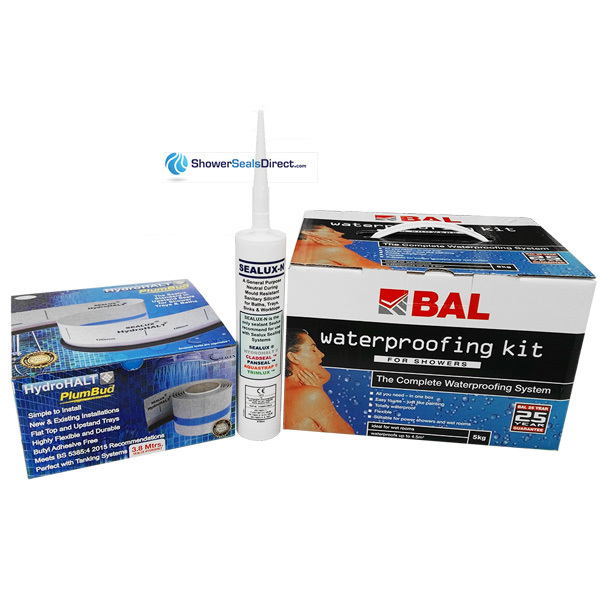 It appears the bath leaked and the timing couldn’t have been worse, anyway I quickly researched the quickest and most reliable leak free bath seal. I installed the Trimlux trim over our existing bathroom tiles, which I purchased on line from Shower Seals Direct. The kit had everything I needed. 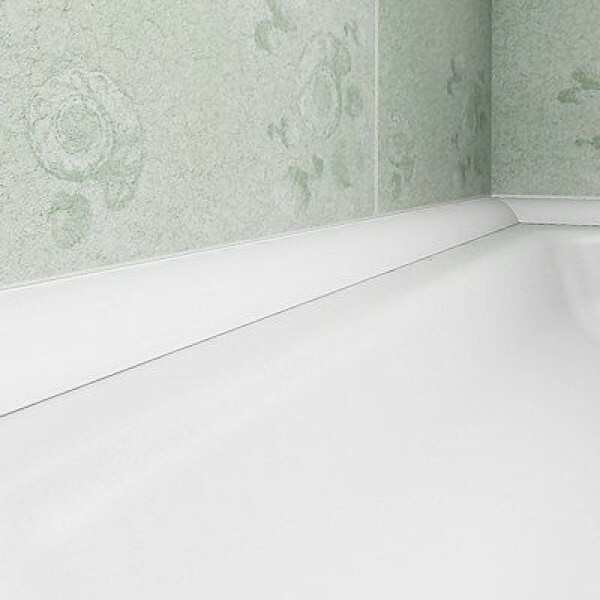 My husband is fairly handy at DIY so once he followed the installation guide and watched the video (three times) he was easily able to install the bath trim and all important sealant. The whole installation was quick and we have been problem free since. 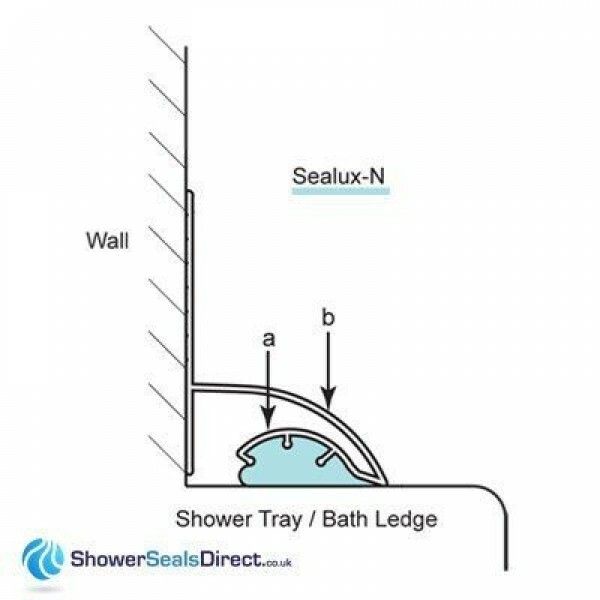 My husband installed the aquastrap seal in my on-suite shower just to make sure we are leak proof there aswell. 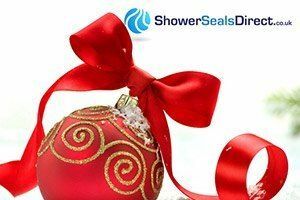 The service from shower seals was speedy and efficient and it saved me the hassle of having to go to a DIY shop and transport the large trim home – it was all delivered to my doorstep two days after my order.